Hey Y’all! 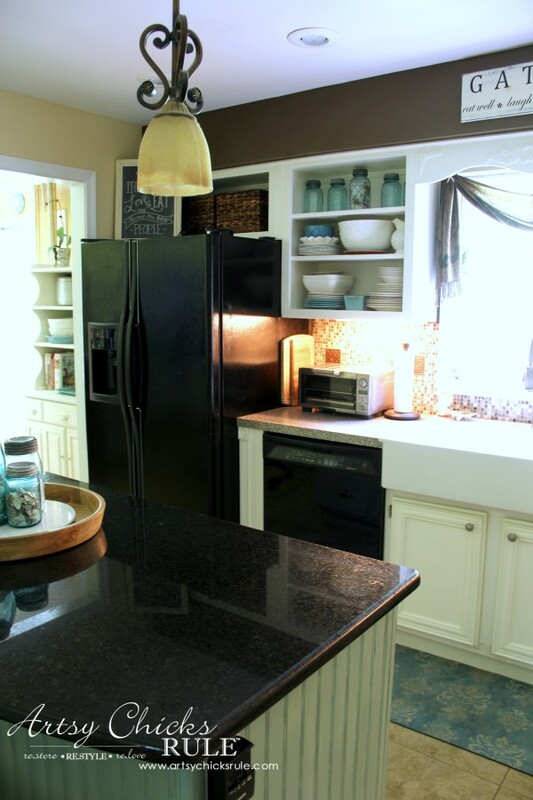 I’m back today sharing…..a MAJOR KITCHEN REMODEL…..mine! It’s a photo heavy post, just FYI. AND…please excuse the “mess” in these photos. Saying that in advance! 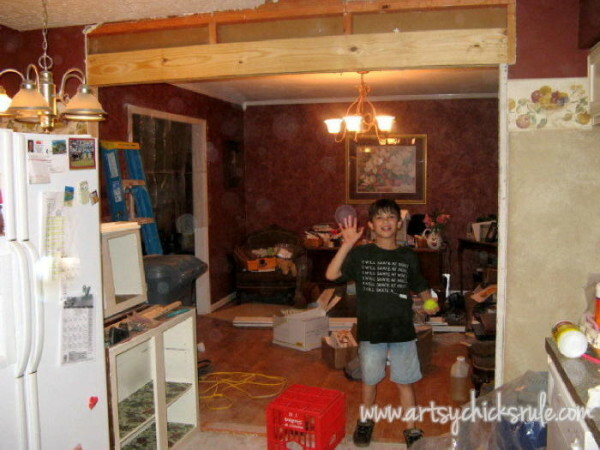 It’s a war zone when you are re-doing basically an entire home…and living in it with kids at the same time. 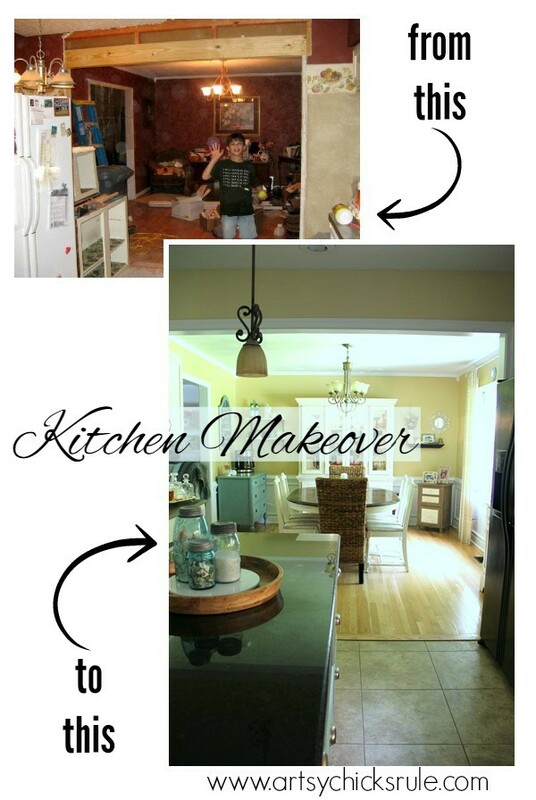 PLUS, I had only planned these photos for us to have a “before and after” of our makeover. We have been living in this house for 11 years now. The “first remodel” happened as soon as we moved in. The second makeover/remodel happened some years later. 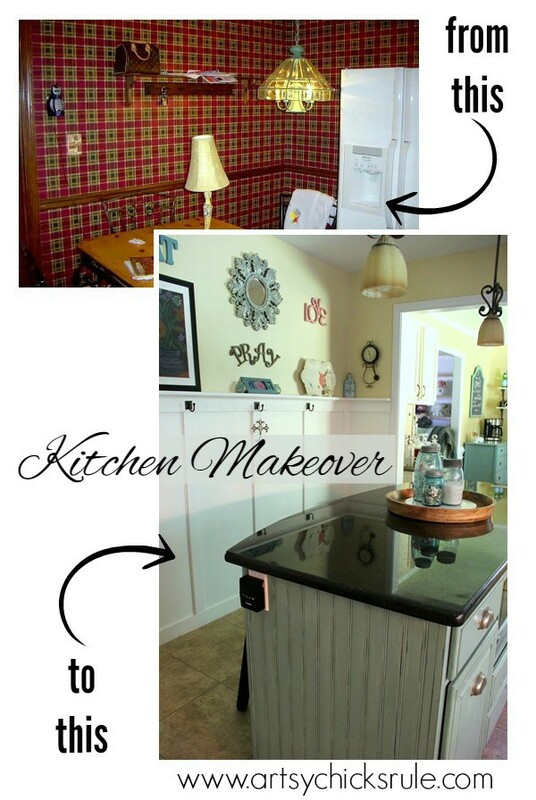 Then I painted and redecorated in a totally different way/style (third makeover). So this room has seen some changes! But wait til you see the “before” photos. I’m not even sure where to start…..maybe right here at the beginning…. 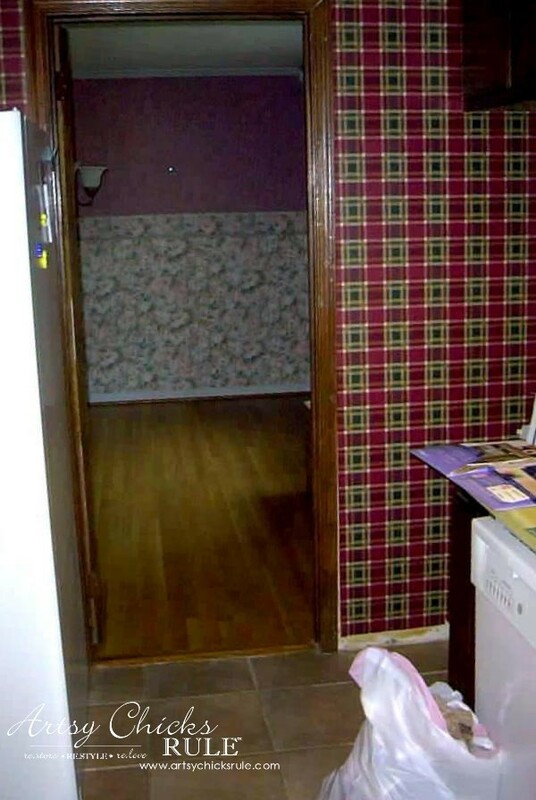 This was a photo I snapped when walking through with our realtor. I’m sharing it only to show how very dark this kitchen was then. Sort of like every room in this house, remember “the cave”? 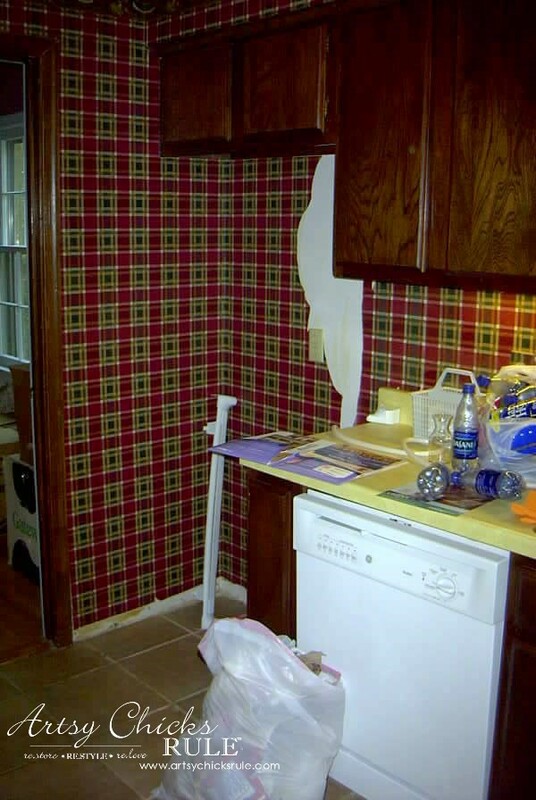 We removed that dark plaid wallpaper. 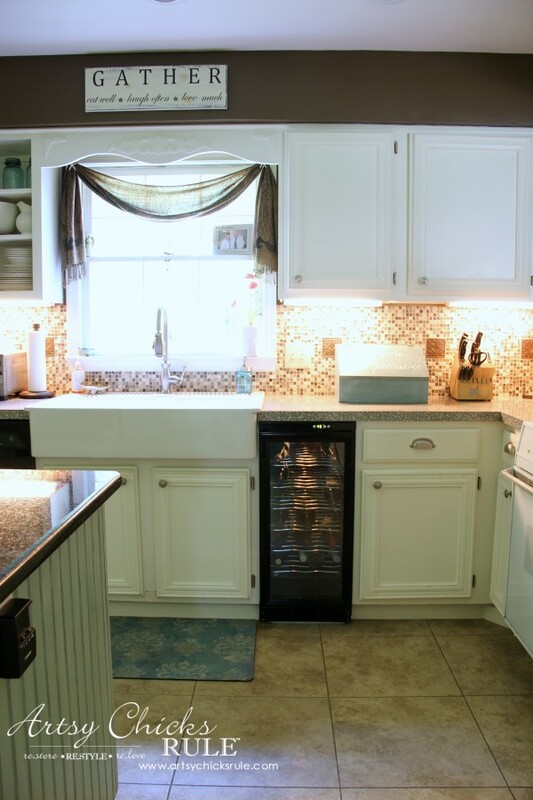 My husband had to remove, and rework, that cabinet above so the refrigerator would fit in the space. We originally decided to cut it down and make an open area for cookbooks as you can see below. We later opened it up completely to have an open shelf (as you can see above). 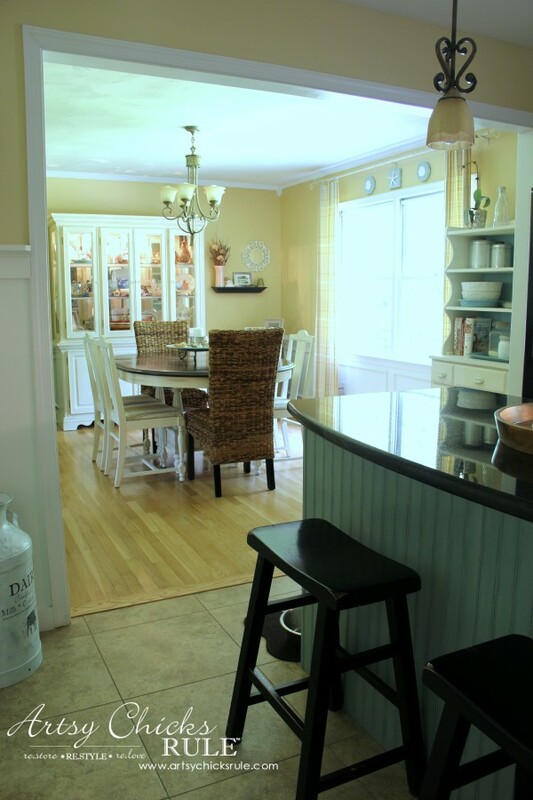 In the above photo you can see I have painted the cabinets, the walls, etc. 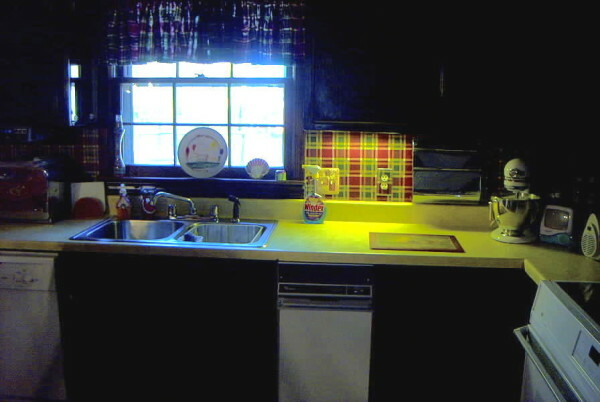 The modified cabinet is back in place AND the new counter top is installed, along with the sink and faucet. We’ve also removed the old trash compactor to ready the space for a wine refrigerator. I painted and then glazed the cabinetry. We also added that wood decorative trim to all the doors. 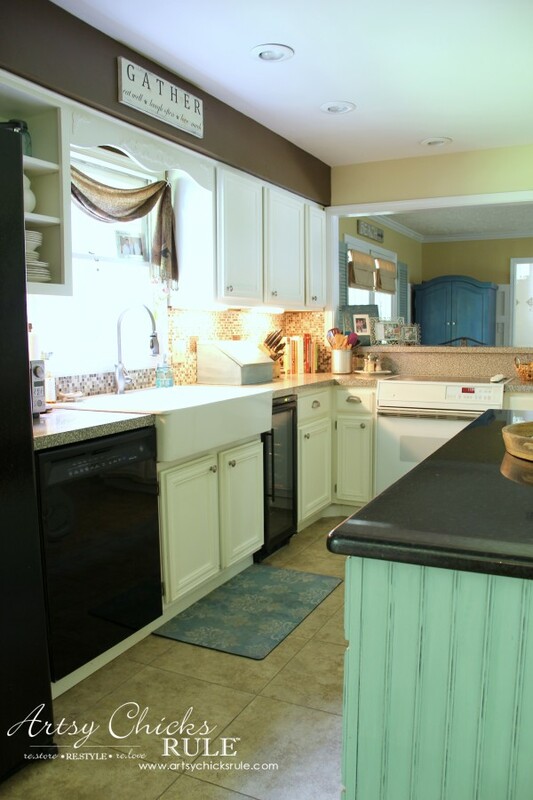 If you look closely at the “before” photos, you’ll notice that they are dark wood and FLAT fronted. 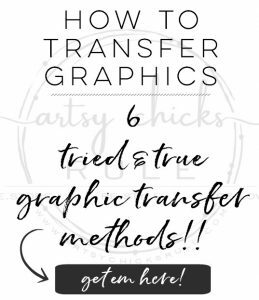 I’ll be doing a tutorial on how we did that soon! It really made a HUGE difference in the way they looked. To the right is where the refrigerator goes (for perspective). And the other side, corner/nook….. But I got rid of that pretty quickly (but not effortlessly, that was a job)…. Dark plaid gone…and look at that cutie! Where did the time go? I miss my babies young. We had SO much to do in this house so weren’t into tearing out walls just yet. 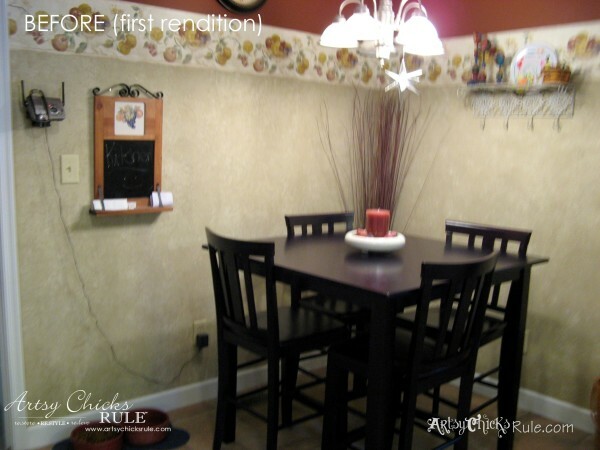 This is how I finished up the kitchen the first time…. This is looking in from the Family Room. Terrible photo…but again, I wasn’t planning on sharing on a blog at the time. This is the same corner/nook now….. Different, right?! MUCH brighter space. 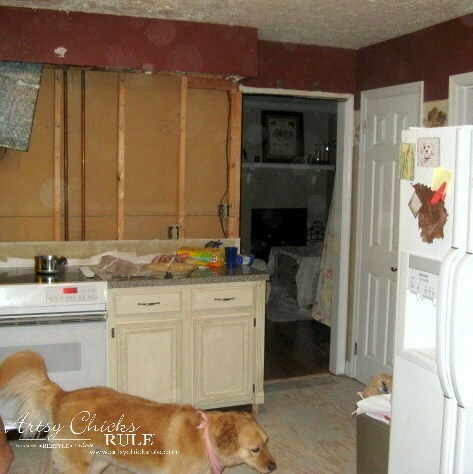 A few years after our first remodel we decided to tear out walls…on each side of the kitchen. So happy we went ahead and took out those walls. On to the other side, and other wall we removed. 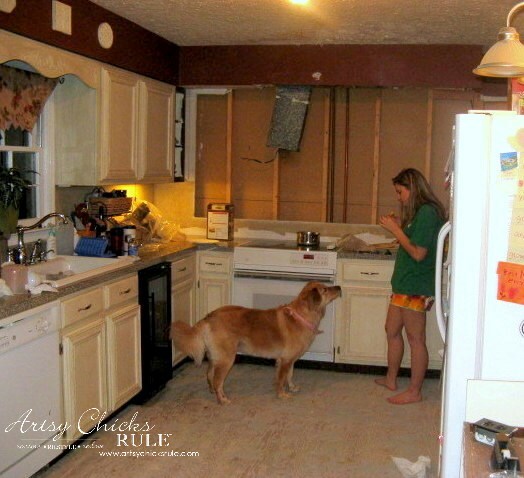 Starting back at the beginning …..
Lovely gold counter tops, broken floor tiles everywhere and dark, flat, plain cabinets. 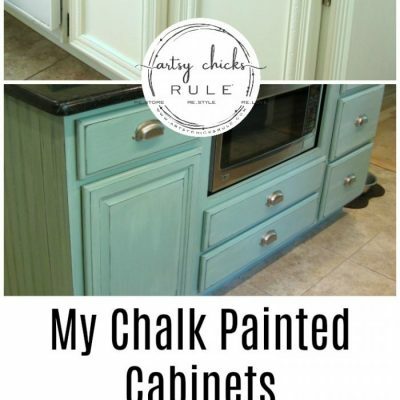 I originally used latex but have since repainted with Annie Sloan Chalk Paint. 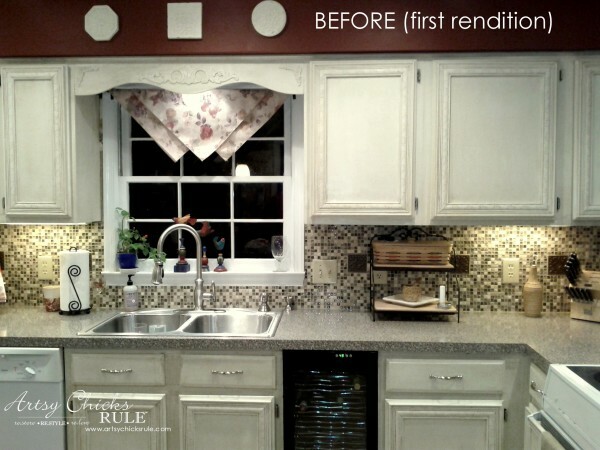 You can read about the cabinet makeover here –> Kitchen Cabinet Makeover. My sweet girl and Lexi, our Golden mix you sometimes catch a glimpse of in my photos. Yes, same stove…since day one! It’s getting changed very SOON. We had also pulled up all the tile and were getting ready to re-do that too. What a mess to live in, right? But the end result is so worth it. 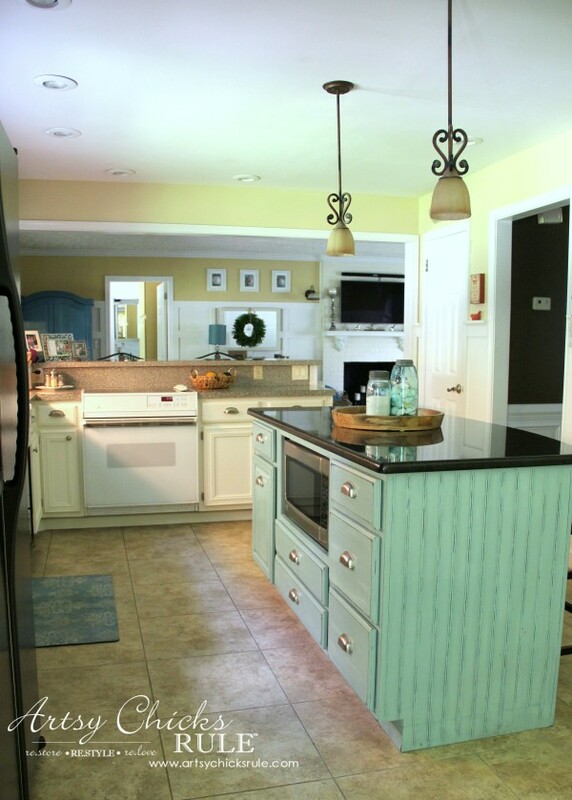 New ceiling, flooring, island (that we made, and modified using ready made cabinets) and lighting. 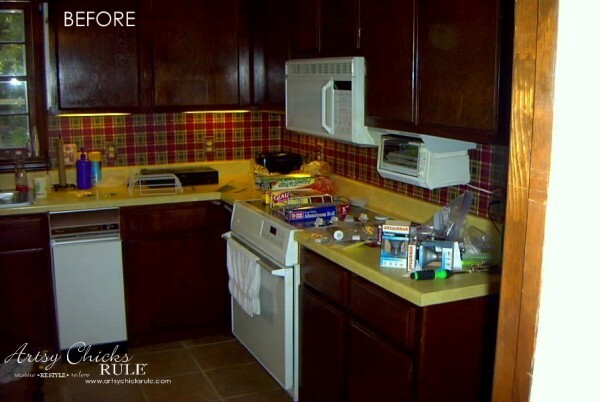 Hard to believe it’s the same kitchen, isn’t it? From closed off and dark, to wide open, airy and bright. To give you an idea of how I went from really dark, to well, still dark…. 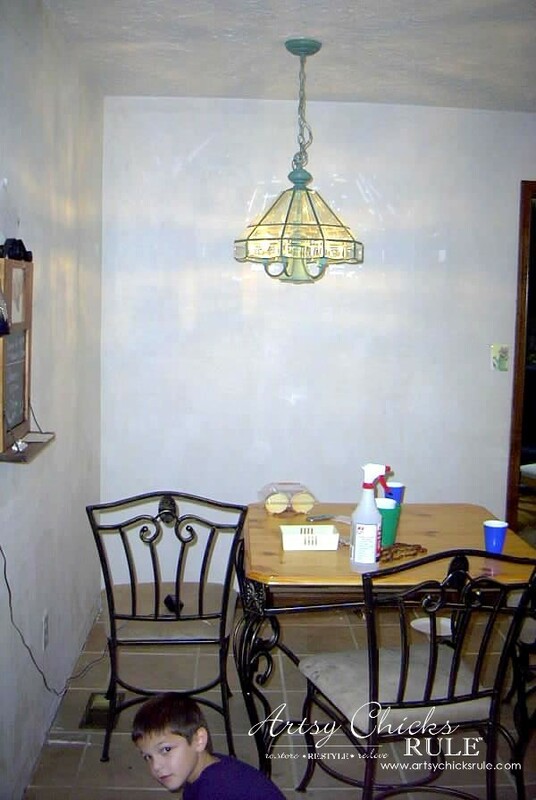 I loved the openness we’d created but wow, I really had it painted and decorated much too dark still. That is all changed now, thank goodness. It’s like a completely new house all over again! See my messy cookbooks in the open cabinet up there? That’s why it became open shelving later…. But as you know, I am also tired of all the yellow. Mainly in the Dining and Family room. UPDATE: I’ve since installed a new backsplash. You can see all the details, HERE. I’m tired just looking back at these. 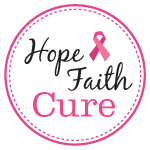 Hard to believe we’ve done so much….but it has been 11 years. No, we aren’t even all the way done yet. We still have our master bath to renovate. I’m ready to tackle that area though. Soon! I hope it wasn’t too confusing going through the photos. We did the first remodel, then the second and now the third so it was hard to share them “in order”. Or in an order that totally made sense. 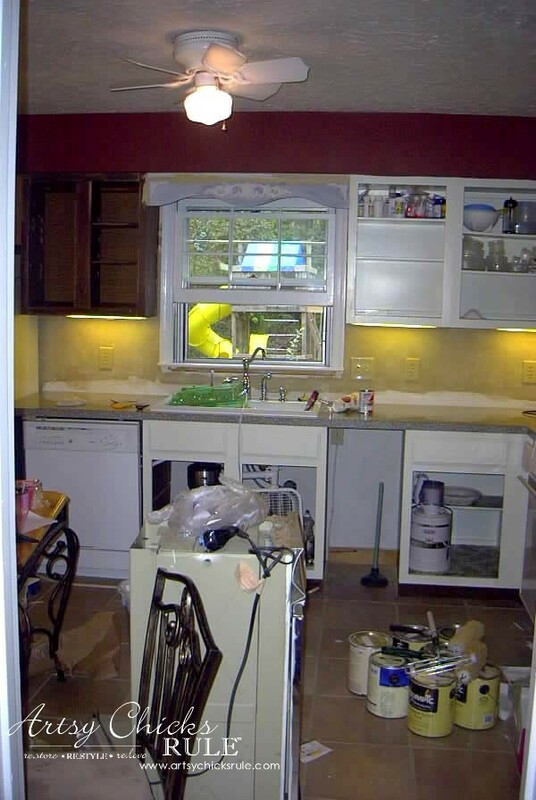 Anyway, I hope you enjoyed seeing our progress in the kitchen. We still have to replace the stove but it’s coming soon I hope. I’ll share new photos once that’s done. A work in progress, always, I tell ya! My husband and I do feel a great sense of accomplishment though. We’ve done every single renovation and project in this house ourselves. I have to say, we work pretty great together! Thank goodness, right? I hope these photos also inspire you. There’s not much that can’t be changed or updated. 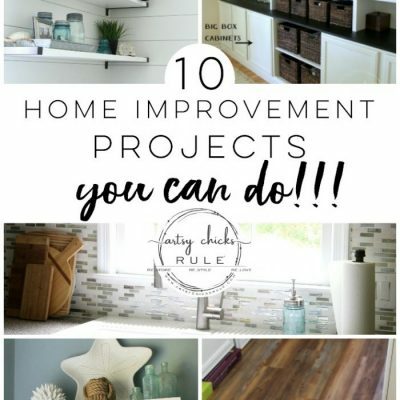 So don’t overlook some of those homes (if shopping for a new home) OR feel you can’t do some of these things in your current home. What a difference! I can not even believe the before. I absolutely love the island..I think that may be my favorite part! Thanks Deb! :) We really enjoy having an island in this space now too! I kept meaning to do a DIY tutorial post on that but never go around to it. We did the original project long before I started the blog so I don’t have photos. I sanded the doors down and my husband cut and then applied, with clamps, the wood to the front of the doors. He used regular wood glue. I don’t even remember which brand it was, but it is rock solid 12 years later! We didn’t need to cut grooves or do anything else. The style of the original door really worked well with adding the wood. They were completely flat fronted doors with a curved/beveled edge. The wood was placed directly at the edge before the curve/bevel. Hope that helps! One day I may get that tutorial up. ;) We do have an old door or two laying around that I had planned to removed the trim from (or try anyway, like I said, it’s solid!) and then do again to show how we did it. so gorgeous! 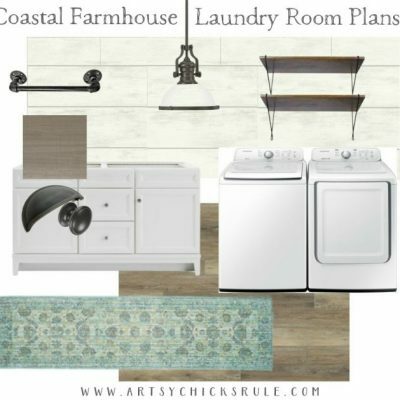 A little imagination goes a long way to recreating a space and yours is done so beautifully! Great work! Aw thanks so much Anne!! That means a lot!! We’re now on our second major reno so I understand and sympathize with the effort it has taken to make your home what it is now. We’ve lived in our place for 20 years. We began what was supposed to be a carpet and paint update to the living room in 2007. That work went over the top when my better half, the Minister of Finance, bonded with the designer. New wood floors, 6″ base, new oak molding everywhere, new living room windows, entry door and lights, solid wood interior doors, tumbled marble in the living room and an entirely new fireplace surround. While we live on six acres, when at home we were relegated to the master…for months. Still, everything still looks good to me. We are in the midst of a major two story addition to add garage slots and (finally) a gathering space off the kitchen and a patio rather than the old deck off both the existing dining room and new great room. Phase II will be the kitchen gut. We’re just in the nick of time since the appliances have been giving up the ghost the last couple of months. The fridge still seems okay but the range is down to one burner and no oven and both the dishwasher and microwave are shaky. Goodness only knows where it will end up. But, the house will either be ready for our recent retirement or for sale. Thanks for sharing. 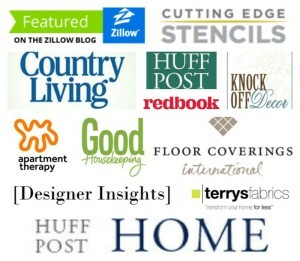 I loved reading about your remodel, etc! It made me chuckle a bit! But I bet it’s amazing! And yep, ready for sale or retirement! Ours will be ready for sale once we finish. Really. Then we will start all over again on a new (old) home. We want to sell and find a smaller one story once my son graduates this coming year. BUT this time we will rent something and work on the house before we move in! Thanks for sharing your adventure with me! It all looks so beautiful – I love the openness of all the rooms. We really enjoy the openness SO much. It’s much, much better for entertaining guests too. 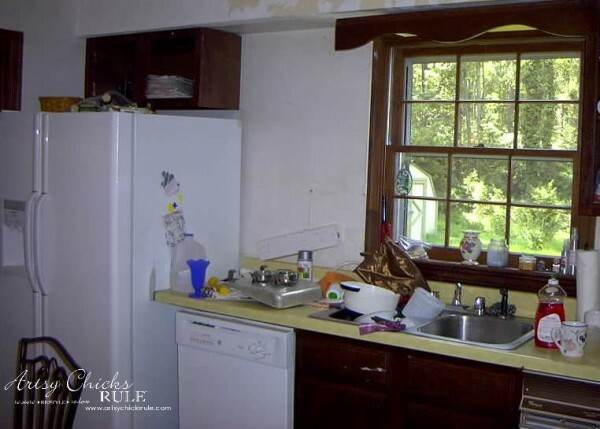 What color did you put on the kitchen walls? I love that chocolate! 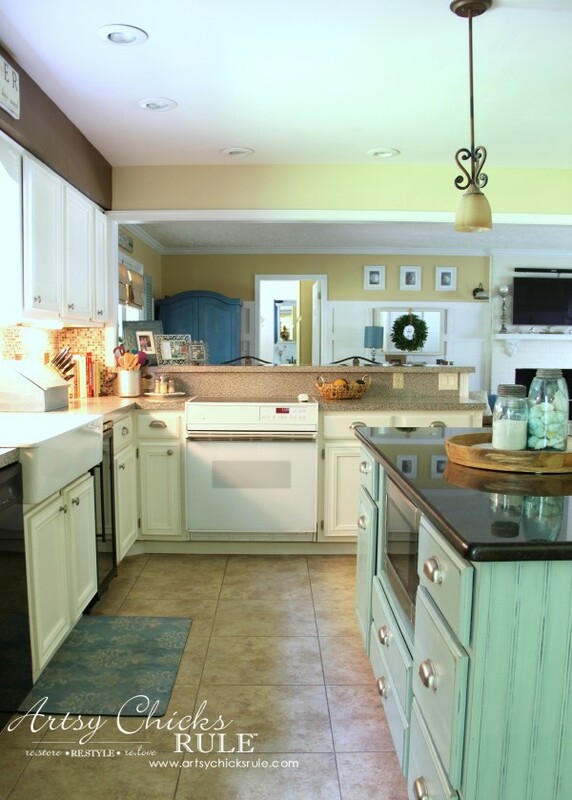 From one DIY couple who has renovated their home over a couple of decades to another – woweeeee, what a difference! Looking at those before pictures only someone with a good eye and DIY talents could see the potential where others may have run the opposite direction. 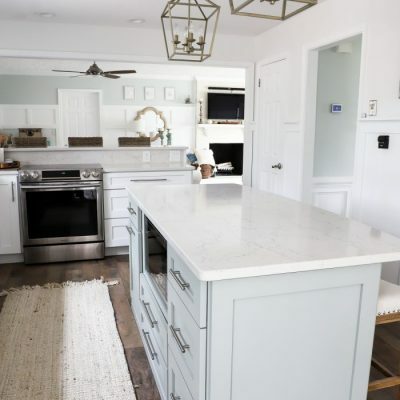 You guys did a fabulous job renovating your home! You’re right, it never ends. As soon as you declare one room complete the one you did first is now ready for an update. But you’re right, doing it yourself does give you a huge sense of accomplishment and now every room tells a story! What a wonderful improvement. Your nest is really sweet. 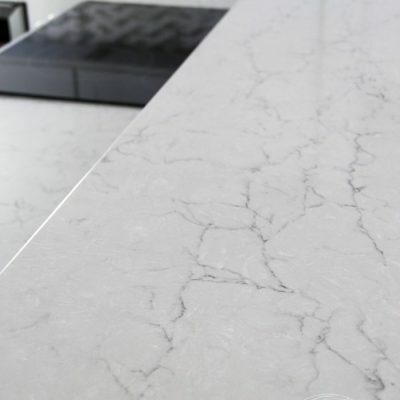 I’m pretty sure I’m going to get that Ikea sink – did you cut notches in the front of your countertop for that? It looks like it would just sit on top of the counter. I love the IKEA sink! Yes, we had to cut the notches in. It really doesn’t fit right unless you do it. Y’all did a fantastic job! 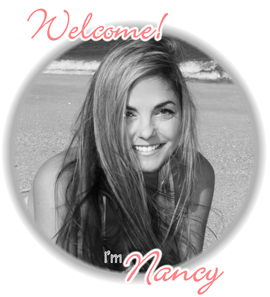 Love, love the final makeover! It truly does look like a different house now. Thanks Karen! :) It really does look (and feel!) like a completely different home now. Thanks for sharing. It’s really helpful to see before and after photos. Great job. It is a beautiful renovation. It is hard to keep clean when you are constantly tearing up though right? Thanks for sharing. I have painted my kitchen cabinets, but the paint has worn off around the knobs. 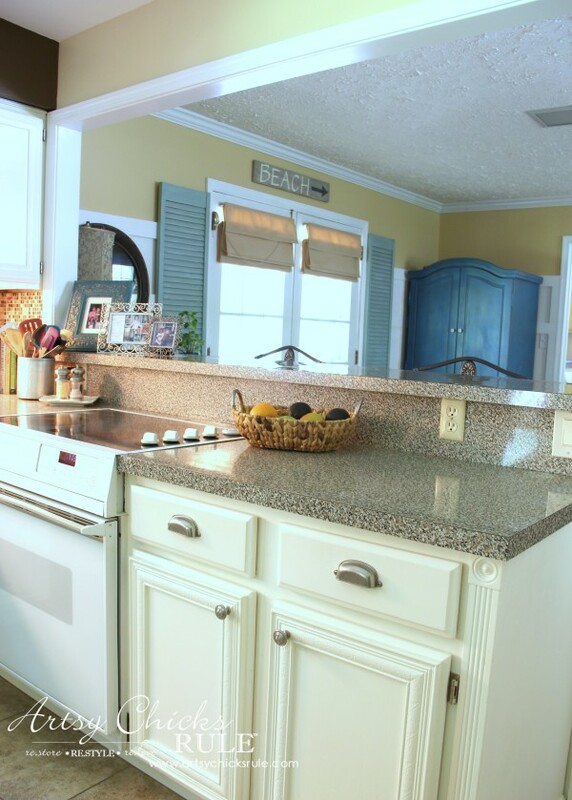 How long have you had the Anne Sloan paint on your cabinets? 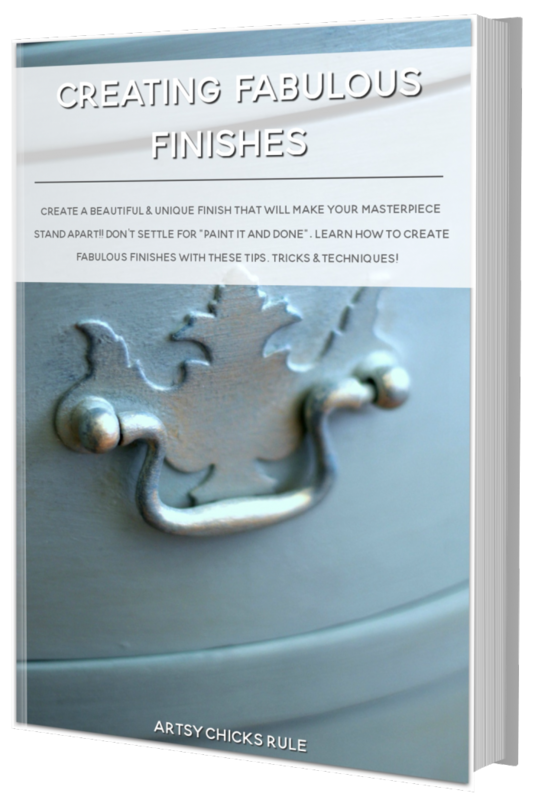 Some paints and finishes are more prone to doing that around the knobs. Latex for one. I had a “glaze” over mine (first paint job was latex) so I think that helped. Mine held up pretty well actually for about 8 years. But I did sand them down very well beforehand. I painted them over 2 years ago now with the Chalk Paint. But I also finished them with Varathane too (poly finish) so I think that’s helped them hold up well. 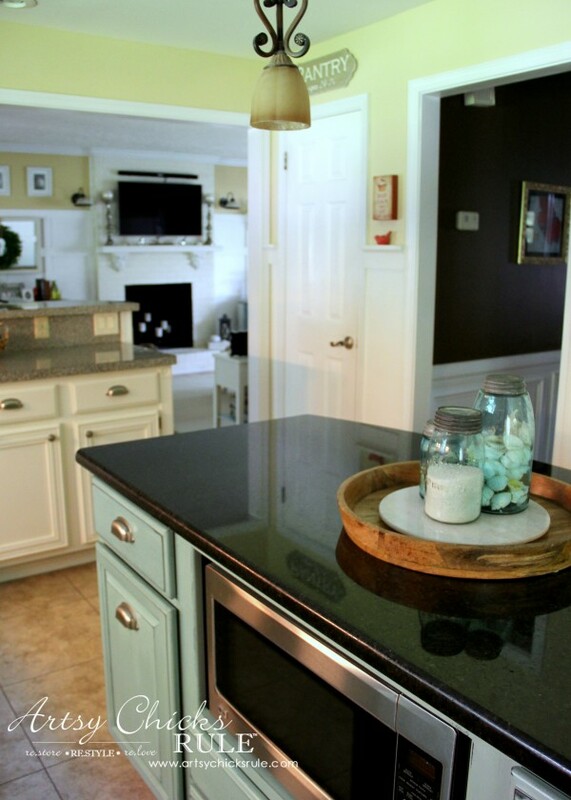 Your dedication to creating the space into an amazing home is just so, so inspiring! 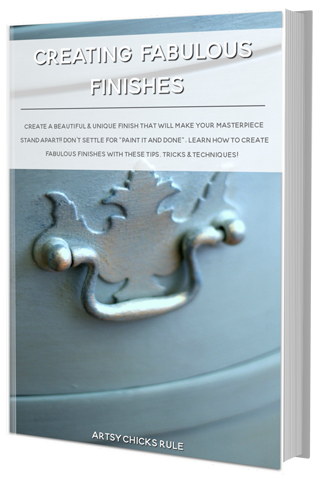 It reminds me that during our many remodeling needs, that it all takes time. Thanks again for sharing! But all worth it in the end! 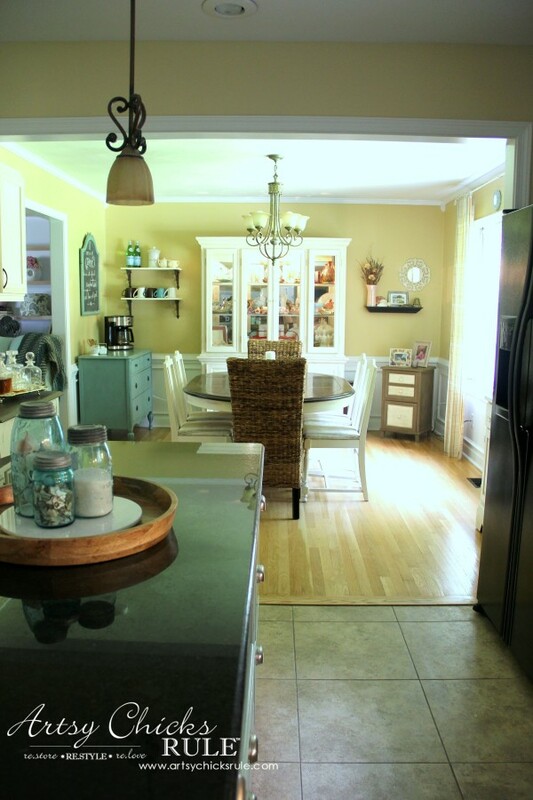 The picture of the original kitchen is crazy, I can’t believe how dark that house is. Each room looks like it was meant for vampires or something. Both remodels look amazing, and I am a bit sad you strayed from red walls. All in all, the place is looking really great! Wow!! What a great renovation!! 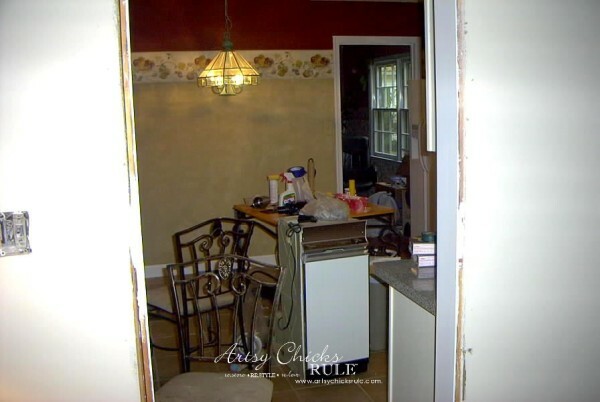 It definitely takes a lot of patience to do so much renovation over time. But the results you got are just amazing. I am also planning to renovate my kitchen. And by looking at your kitchen, I have certainly got some ideas. I hope that I will also be able to get such stunning results. That is truly an amazing transformation. 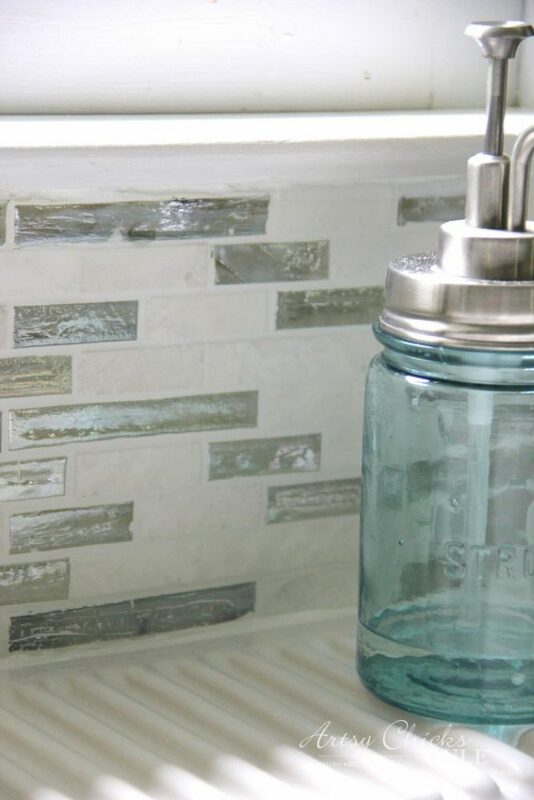 I especially love the tile backsplash you did. 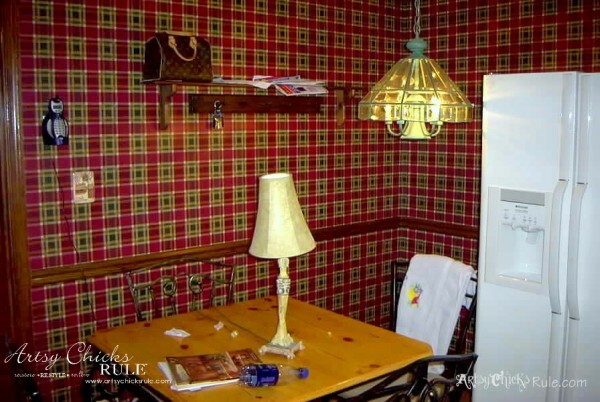 It’s much easier on the eyes than the plaid wallpaper! 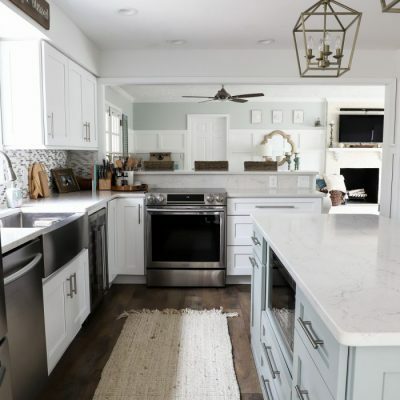 The before and after pictures of this remodel are remarkable. It truly is a transformation. You did a tremendous job on this project. The work shows. Fantastic job! What a great transformation! 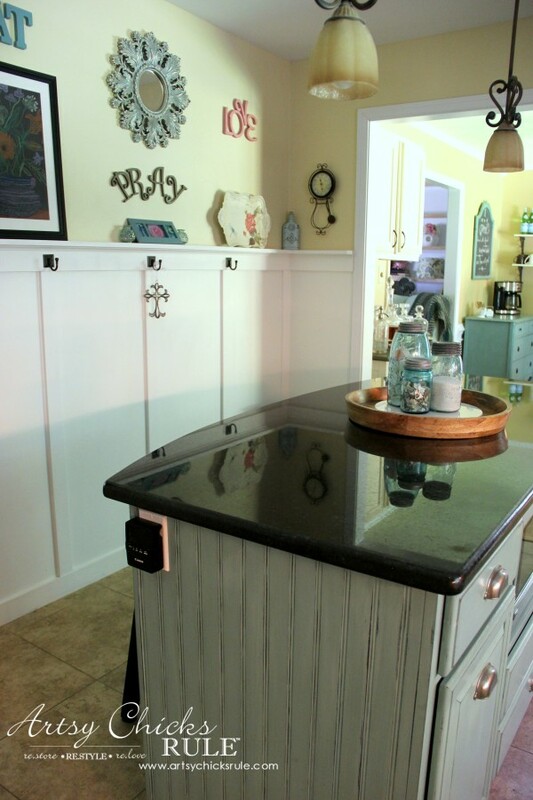 Especially the kitchen cabinet doors, I loved that you recycled and customized them, what a savings!! Will you be posting the tutorial of adding the trim to door soon, I would love to see it. When you mentioned a flat cabinet door, it looks like there is a slightly routed edge around the front of door? 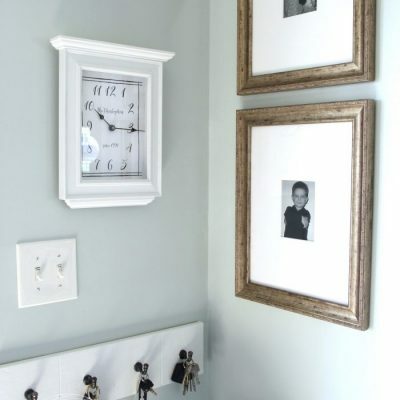 Did you place the “molding frame” right up against that routed edge? Thanks much for all the inspiration!!! I am (and have been for awhile!) planning to do a tutorial on that. It really made a HUGE difference in our doors. Yep, the edges of the original doors were routed/rounded a bit. No, we didn’t place all the way to the edge. 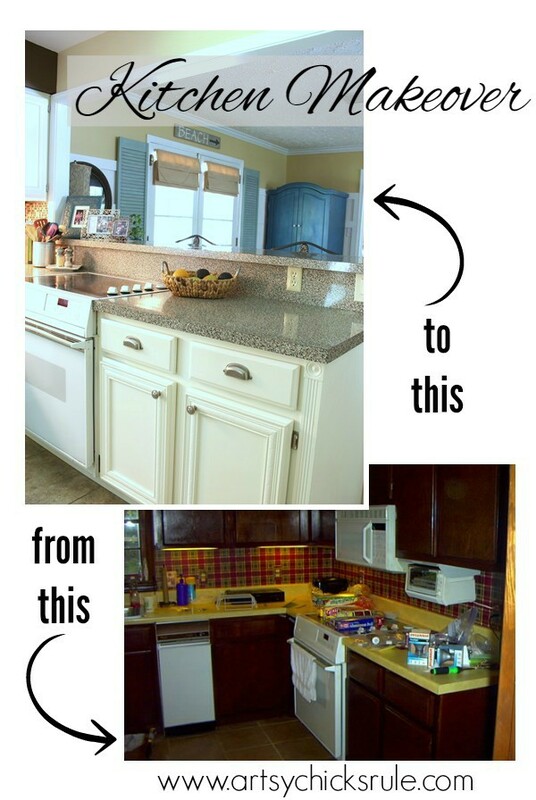 One of the best before and after kitchen remodel post I have seen. Bookmarked already :) The project really has brighten up the whole kitchen, looks more clean too. 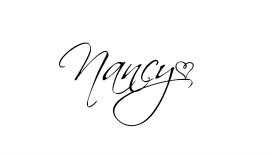 Thank you Nancy, its truly outstanding..
hi i was wondering how your Varathane has held up? i am doing pure white and i want to avoid the yellowing. has yours yellowed? is Varathane shiny? The Varathane has held up fantastically! It’s really super hard stuff. BUT yes, I have had a bit of yellowing. Not a tremendous amount but it is there (if you are sensitive to it, you can see it, otherwise not so much). I used Semi Gloss and it’s not too shiny. I usually like to use Satin but already had the semi gloss so used it. You could get it in Satin if you want it less shiny. 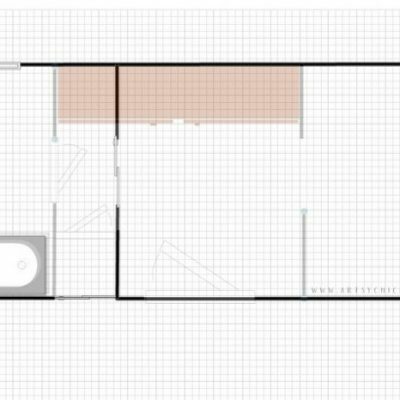 I think if I had to do it over, I would have used all Pure White and would have ended up with the perfect shade of off white. I do plan to do an update with photos, etc, on these cabinets/paint soon. Wow! What a transformation! The after looks amazing – so much bigger and brighter! The cabinet trim added so much.